Tauranga Locals Amy & Jason Nicholls are the two for one inspection team for The House Inspector Ltd. Because two sets of eyes are better than one! They can see what others may miss. With two inspectors on site they can focus on their areas of expertise and ensure the best quality inspection and report. 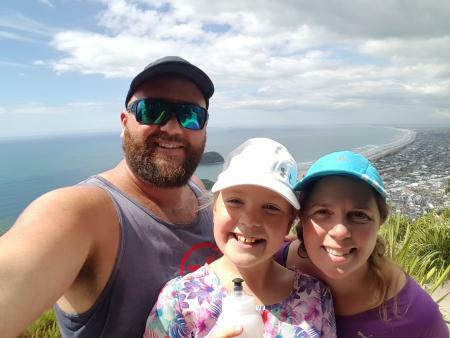 Amy & Jason Nicholls have the experience, skills and knowledge to provide affordable and exceptional house inspections all across the Bay of Plenty and Coromandel areas. Their combined knowledge, skills and experience make them the ideal team for you builders report. With over 250 inspections, reports and satisfied customers your investment is in the best hands. Jason Nicholls has 20 Years industry experience in Design, Building, Supervision, Project Management and quality control of residential and light commercial construction & renovation within New Zealand. He is a Qualified Builder BCITO# 2325752 and Licenced Building Practitioner LBP: BP126406, as well as a Member of BOINZ the Building Officials Institute of New Zealand. Amy Nicholls has been the successful manager of all their building and building inspection businesses for the past 15 years, all while raising their 4 kids! She also is an active inspector in residential inspections. Amy’s attention to detail means nothing gets past her.